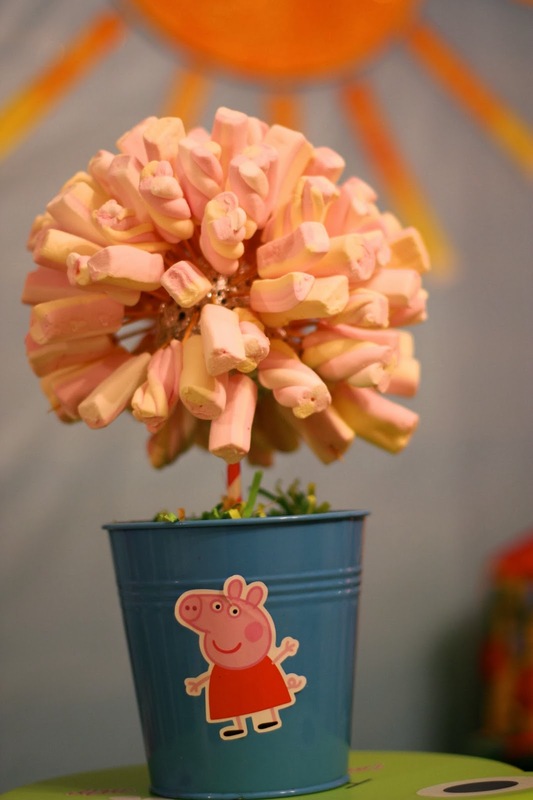 MangoStix: A Peppa Pig Party- Chloe Turns 2! Aside note- Wellies in the dishwasher with a dishwashing tablet and some bicarb come out like new! 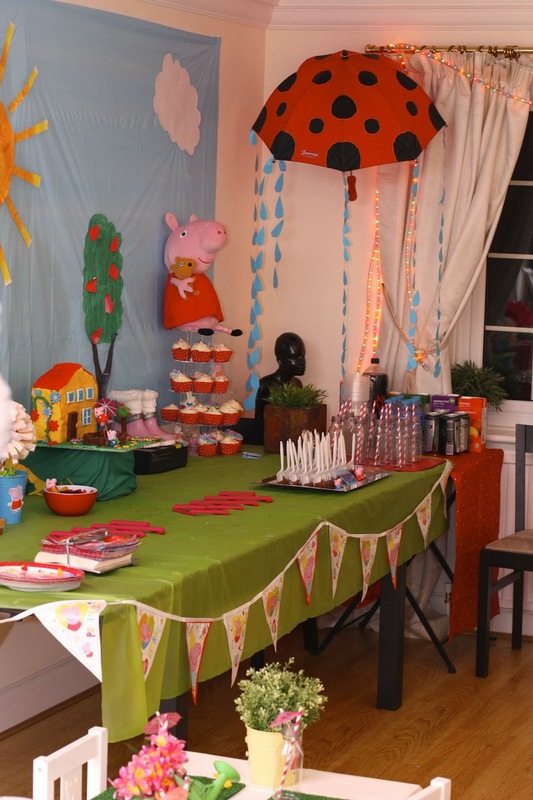 So for this I made the backdrop using a very large blue table cloth from Poundland. I got the kids to paint a big piece of cardboard yellow, sprinkle gold glitter on it and then cut it into a sun once it had dried. 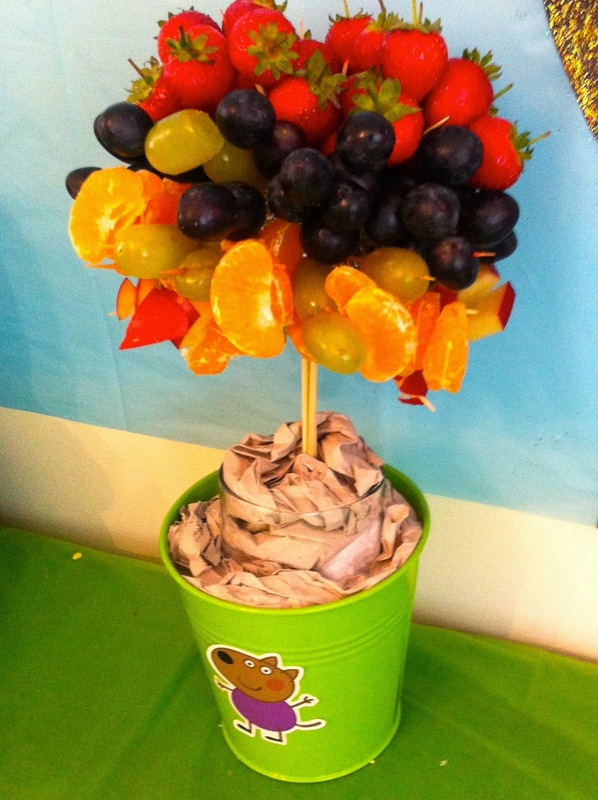 We used the same method to make the apple trees and clouds. The kids absolutely loved making it as it came out so big, bright and fun! I found an awesome website to print these massive props, its called www.blockposters.com . You simply send in an image and request the dimension size of your poster, and it sends you back an Adobe file split over the number of pages you requested. I just used the character outlines from colour in pics and got the kids to firstly make the puzzle by putting the pages together and taping them together, and secondly to paint each colour at a time by covering up the others with masking tape. We then stuck each character onto a blue table cloth and mounted them onto the walls. 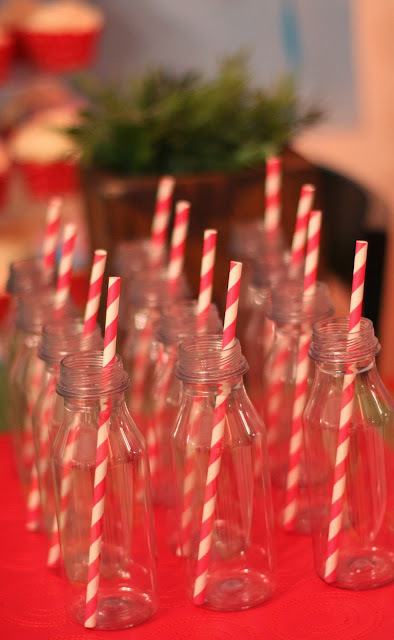 Now for party food ... 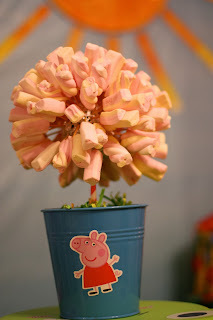 I made these marshmallow and fruit trees by making a tightly packed tin foil ball and poking a skewer stick through it, and stabilised in the pot with scrunched up thick paper. The marshmallows/fruit were attached using toothpicks and shredded green paper thrown on top of the pot to look like grass. Mmmmmm who can say no to a cup of Nutella, these were all gone in no time! I had some fun with the cake! All made out of fondant, nutella, Kit Kats, Smarties and sponge cake! 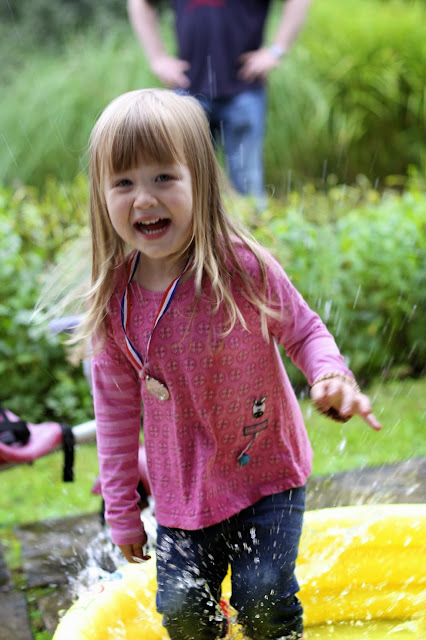 Now whats a muddy puddle party without puddle jumping .... i gathered a few little paddling pools from friends and the kids had a blast jumping in them. I had planned to colour the water and put flour in to give it consistency, but never quite got there! I absolutely love it !!! Cannot wait to do Ella's in Feb :-) Thanks for sharing !!! I love this!!!!!! 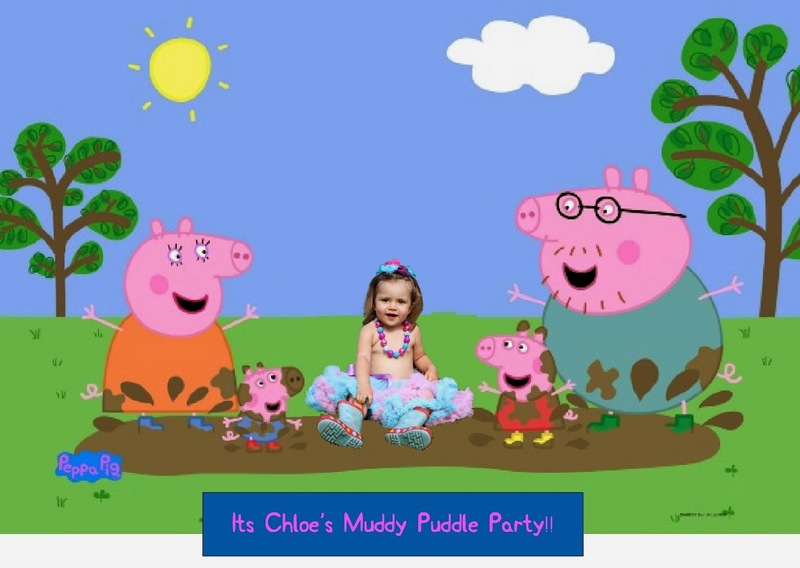 I am doing my daughters Peppa Pig muddy puddles theme next month and i love what you did! Thank you for sharing, you have inspired me!